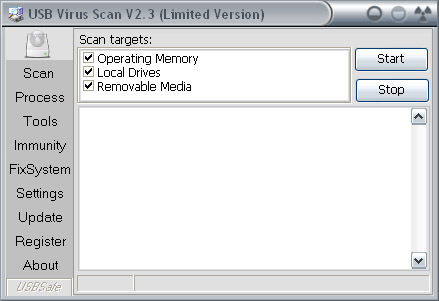 USB Virus Scan provides 100% usb antivirus protection for flash drive. When an pen drive is inserted into your computer, it will automatically scan it, block and remove virus in USB such as new folder virus. Also it will detect and remove recycler virus such as folder.exe virus in your computer. USB Virus Scanner is the best USB scanner antivirus to protect your computer and USB drive against any viruses attack. avast! Virus Cleaner is a free tool that will completely remove selected viruses & worms from your computer: Badtrans, Beagle, Blaster, BugBear, Ganda, Klez, MiMail, MyDoom, Nimda, Opas, Scold, Sircam, Sober, Sobig, Swen, Yaha, incl. variants.